Living Area 2,040 Sq. ft.
You and your guest GOLF FREE!!!! 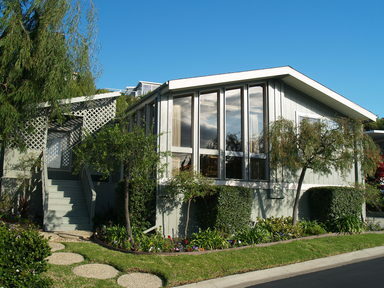 Within the Palos Verdes Shores community, there is a private 9-hole executive golf course, lighted tennis courts and paddle tennis court, large recreation/entertainment center, shuffleboard, billiards, heated swimming pool, indoor spa and an excercise fitness room. WELCOME TO PARADISE! This is one of the most luxurious communities of its type in the United States. WELCOME TO PARADISE! 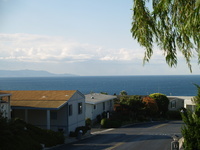 Impeccably maintained, triple wide w/great Ocean & Catalina Island View. Vaulted ceilings, incredible living room and a family room with floor-to-ceiling windows on two walls to enjoy the wonderful view. 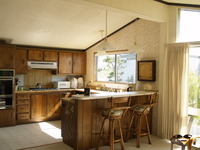 The immaculate kitchen is open to the family room, taking advantage of the great view too. Beautiful custom window treatments and newer light Berber carpet throughout. 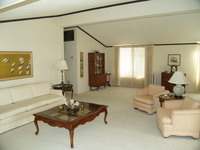 The master suite is very large, with plenty of room for a sizeable sitting area. The suite has 2 closets; one a large walk-in, and a wonderful bath with a beautiful new tub. Palos Verdes Shores is a resort-like, 5-star, 55+ guard-gated community perched upon the majestic bluff, right above the Blue Pacific! Enjoy a 9-hole par-3 executive golf course with ZERO green fees for you and your guest! A very active social club organize wonderful trips throughout Southern California. 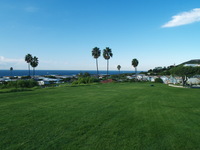 Palos Verdes Shores is "pet friendly" and even has a wonderful dog park!